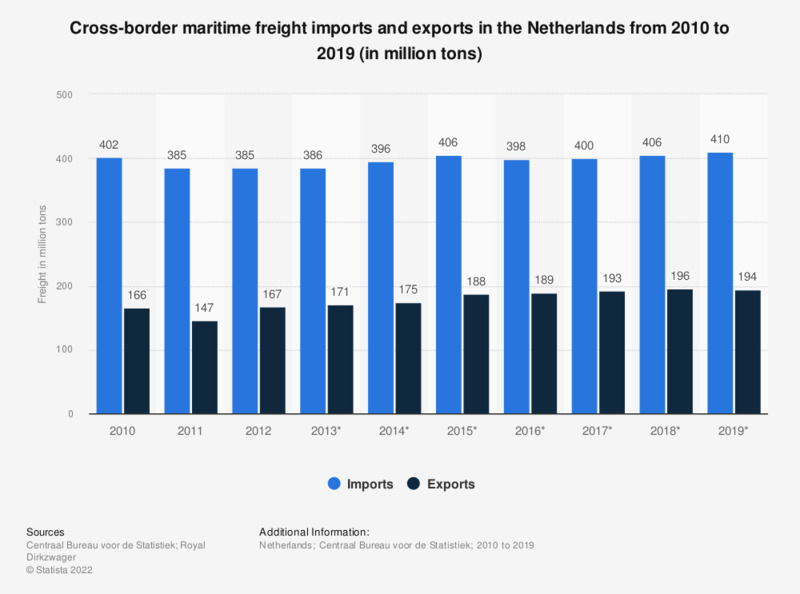 The statistic illustrates the cross-border maritime freight imports and exports in the Netherlands from 2010 to 2017 (in million tons). In 2017, maritime freight imports in the Netherlands reached a total size of approximately 400 million tons. The source explains cross-border freight transport as follows: freight transport between the Netherlands and abroad, where either the loading or unloading zone is situated outside the borders of the Netherlands. * The numbers provided from 2013 to 2017 are provisional.